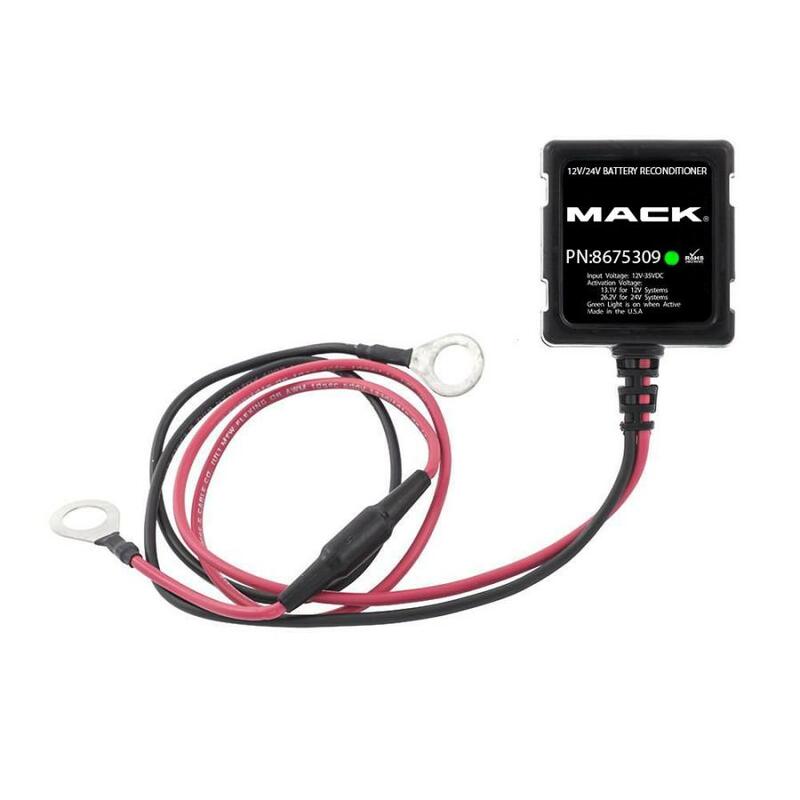 Mack Trucks is making a battery refresher standard equipment on all Mack models to maximize uptime and significantly extend the life of electrical charging system components. To maximize uptime and significantly extend the life of electrical charging system components, Mack Trucks announced that it is making a battery refresher standard on all Mack models. The battery refresher helps reduce and reverse the effects of sulfation, giving lead-acid batteries longer life and superior performance, according to the manufacturer. "Sulfation is one of the top causes of lead-acid battery failure," said Roy Horton, Mack Trucks director of product strategy. "With the addition of the refresher, we can increase the life of a battery by up to two times and help prevent unplanned no-starts." Sulfation occurs when sulfate crystals, a byproduct of normal battery operation, build up on the battery's lead plates. As more sulfate crystals build up, the battery loses its ability to accept energy and reach a full charge, shortening its life.